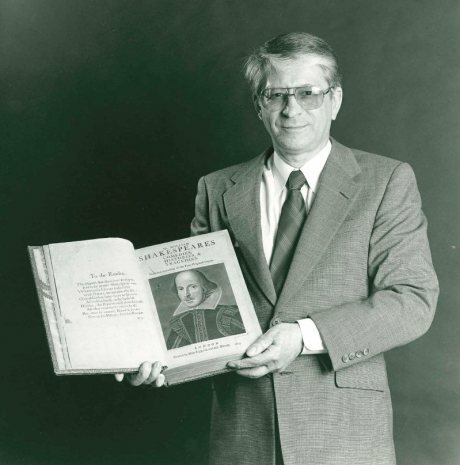 Patrick Hanratty ’77, referred to as the father of computer-aided design and manufacturing and founder and CEO of Manufacturing & Consulting Services, donated a 1623 copy of William Shakespeare’s First Folio to UCI in 1986. The book is one of the rarest items in the UCI Libraries’ Special Collections & Archives. With less than 250 copies in existence, it’s among the most treasured and valuable publications in the English language.